This archive page contains a selection of major Scottish Architecture News in 2016, with projects arranged chronologically, latest first. 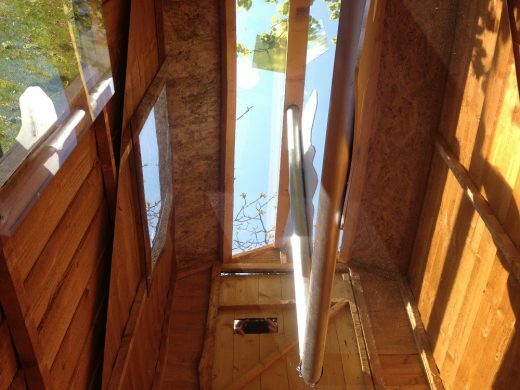 Each architecture news item links to an individual project page. The focus is on contemporary Scottish buildings but we do post on changes to major traditional buildings in Scotland. 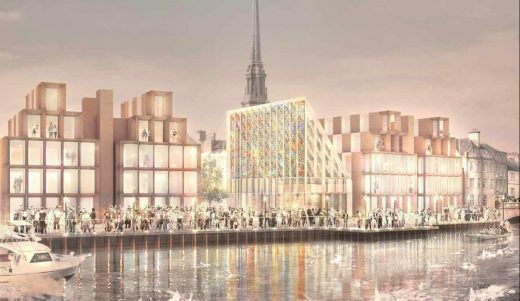 23 Nov – Ayr Renaissance, a body formed by South Ayrshire Council to lead the regeneration of Ayr town centre has submitted an ambitious waterfront masterplan, report Urban Realm. The Riverside Block has been devised by Niall McLaughlin Architects to sit between the medieval ‘Auld Brig’ and Victorian ‘New Bridge’, removing a number of large retail sheds which block access to the river with a new area of public realm and a festival building. The masterplan makes provision for a range of uses including office space, retail, cafes, restaurants and open space using quality materials, which marry with historic buildings – including new vistas of the town hall from new vennels. The next Scottish Civic Trust annual conference will showcase and celebrate the work of local civic trusts, amenity societies and heritage volunteers. The people that make up these groups work tirelessly to promote and protect local heritage, places and spaces. The conference will provide them with a platform to show what they have achieved, explain why they do it and set out the challenges and difficulties they face. 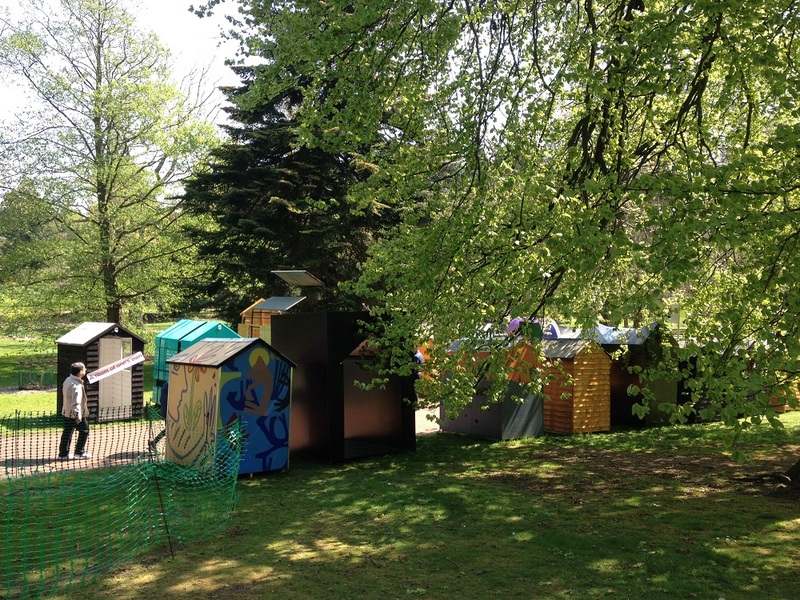 Along with local groups affiliated to the Scottish Civic Trust the conference will feature representatives from voluntary organisations and practitioners behind some of the projects recognised in the annual Scottish Civic Trust My Place Awards and Scottish Heritage Angel Awards. 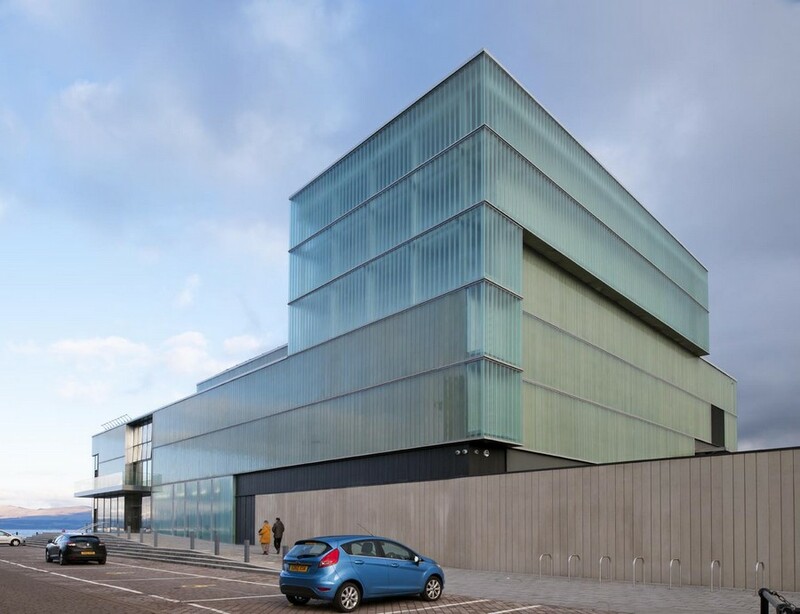 The Saunders Centre, Glasgow by Page\Park Architects has been awarded the RIAS Andrew Doolan Best Building in Scotland Award for 2016. – The Boatman’s Tower, Stornoway Isle of Lewis – Built in the grounds of Charles Wilson’s Tudor Gothic Lews Castle (1847-51). 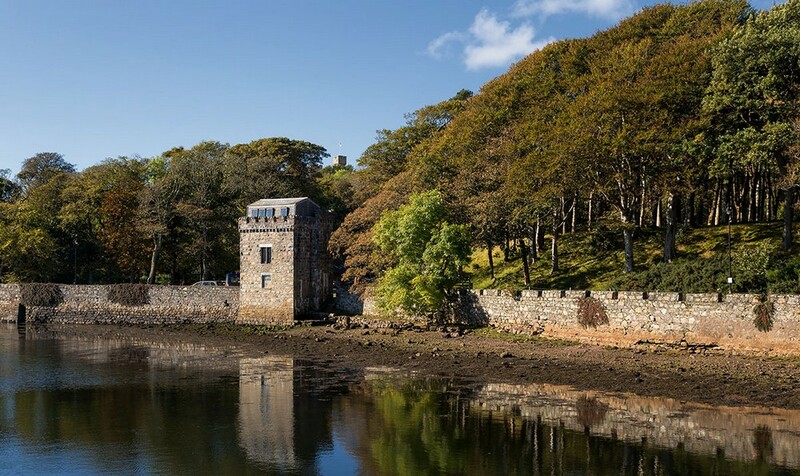 The boatman ferried people to Stornoway and the boatman’s tower housed his family. – Nicolson Institute Clock Tower, Stornoway, Isle of Lewis (1873). An Italianate tower is all that survives of the elementary and infant schools on Sandwick Road, demolished amidst much controversy and replaced by a Sports Centre in 1975. – Store Girnal, Rodel, Isle of Harris (18th century) tin roofed structure perched above the harbour. The rear enclosure, with thick, buttressed walls, suggests an earlier building, possibly that for which local blacksmith John Morrison was paid for ‘dressing the locks and bonds of Macleod’s keeping house and girnels at Roudill’ in 1708. 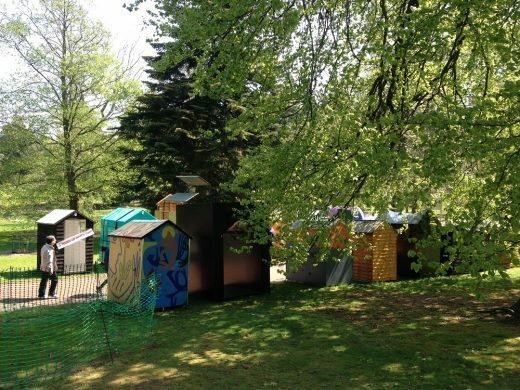 A schools projects with workshops and talks is planned and lighting installations and a series of community events will take place in March 2017. Project Manager and Head of Marketing for An Lanntair, Kathryn Lamont Smith said: “We were completely overwhelmed by the response to the vote. It is wonderful to see so many people engaging with the project and learning about the wide range of architectural heritage throughout the Outer Hebrides. We are now looking forward to the next stage when we will be working with local schools and producing very special community events where we will light up the chosen buildings in a spectacular way. The project highlights the importance of architecture and its impact on everyday life, on health and wellbeing and on the local economy. Educational booklets, in both English and Gaelic will be delivered throughout the Outer Hebrides. The project is supported by HIE and CNES along a number of other funders, including Tighean Innse Gall, The Royal Incorporation of Architects in Scotland and The Big Lottery Fund Awards for All. This house is sited in a rectangular natural hillside plot accessed off the main road into Kippford on the Solway Coast. Principal views range between the south-west and north-east enjoying a spectacular landscape setting of the River Urr valley and hills beyond. 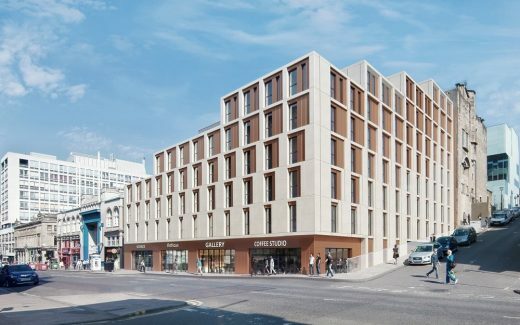 24 + 23 Aug – a student residential development has been proposed for a key Sauchiehall St plot, following submission of plans by Haus Architects. The building is immediately adjacent to the Glasgow School of Art by architect Rennie Mackintosh, which is located up the hill to the north. The site used to contain Jumpin’ Jaks nightclub and Yates pub. 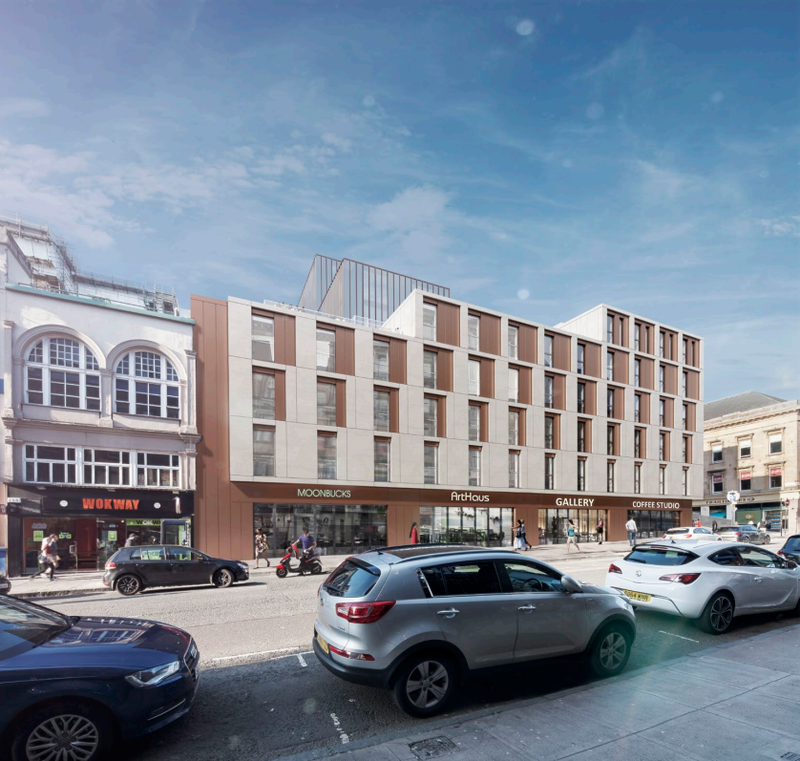 185 studio flats will be housed in a single building extending from three to eight storeys as it rises from Sauchiehall Street up Dalhousie Street, with ground floor retail provision stretching along the former and a central lightwell drawing daylight to the interior. 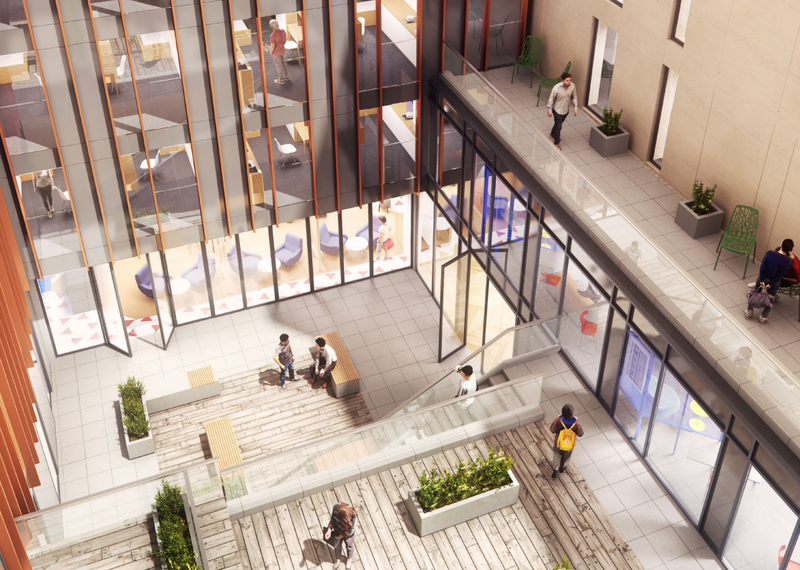 The scheme also adopts a structural solution allowing for apartments to be combined post construction to allow the applicant maximum flexibility in configuring layouts to meet greatest need. The building is faced with smooth pre-cast concrete with copper rainscreen panels. 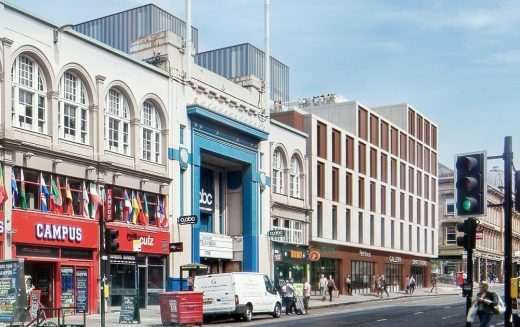 The planning submission is on behalf of GRS, owners of ABC 1 and 2. Jumpin Jaks closed some years ago, it was located at 292 Sauchiehall Street. 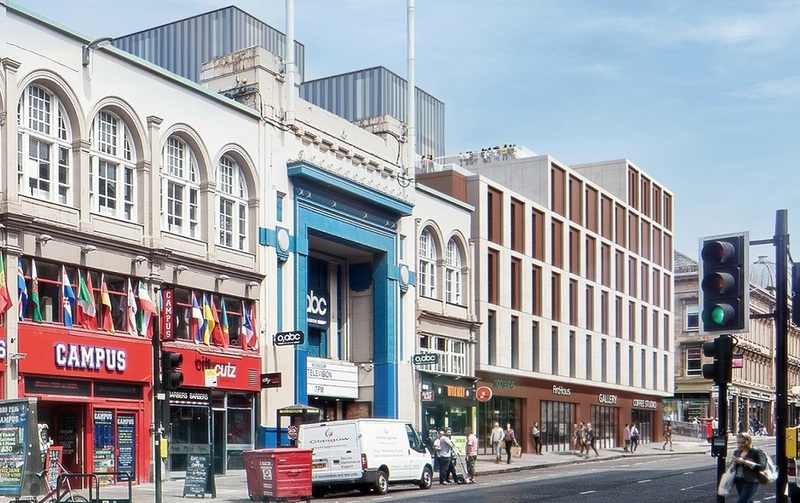 The ABC building is a nightclub and music venue run by the O2 Academy. The adjacent site to the west used to contain a Glasgow picture house, and before that a zoo! The ABC club in Glasgow was completed eleven years ago by Edinburgh’s Michael Laird Architects back in 2005. Regular Music is Scotland’s longest-established live music promoter and the club was their first venue. It contained possibly the world’s largest glitterball. 23 Aug – A new system for submitting building standards applications will go live on the 24th of August. The eBuildingStandards.scot service enables electronic submission of applications for building warrants and other related forms. It will also allow multiple site users to produce a single application online and should make all submissions simpler and quicker. eBuildingStandards.scot will be accessed through the eDevelopment.scot home page which was was launched on 3rd August 2016. 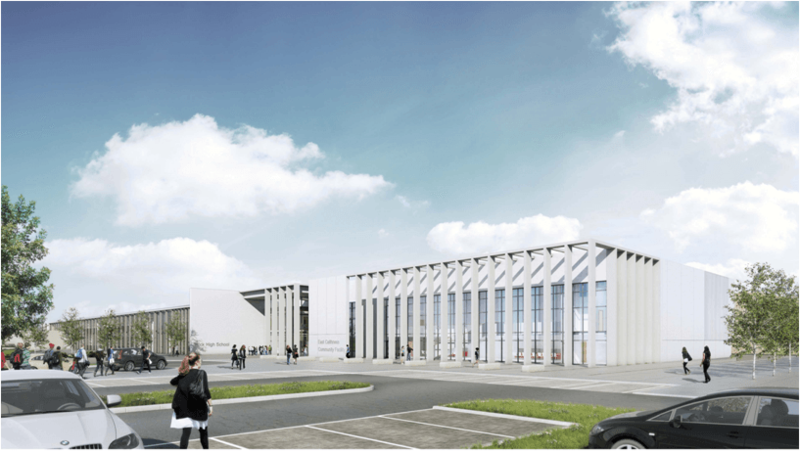 18 Aug – The opening of a new £48.5m school campus in the Highlands is likely to be delayed from agreed October date. The campus is designed by Ryder Architecture. 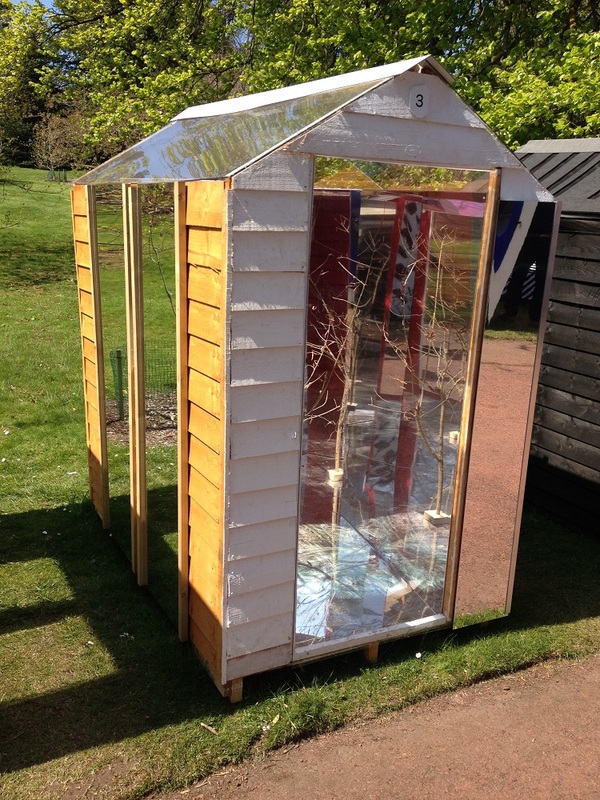 It is being delivered by hub North Scotland to replace Wick High School and Pulteneytown and South primaries. It will also have community facilities which will be available to the public. The main contractor for the build is Morrison Construction. 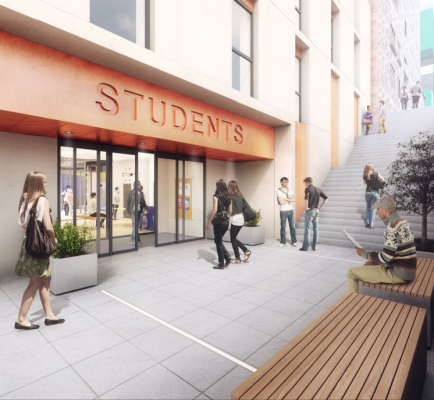 Highland Council said it has been informed by contractors of delays affecting the completion of the campus. 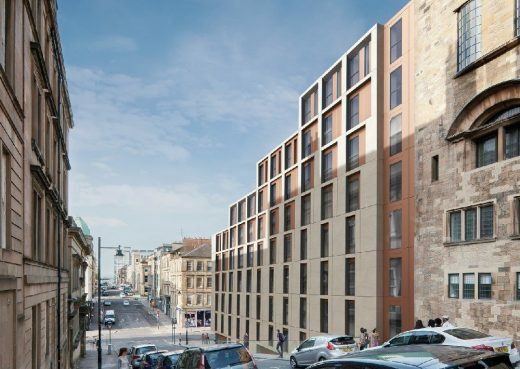 18 Aug – The City of Edinburgh Council has approved to a £500m masterplan which proposes the construction of over 2,000 new homes at Edinburgh Marina at Granton. 10 Aug – Isle of Arran Distillers have obtained planning consent for the construction of a second distillery on the island, together with an associated visitor centre and warehouse, which will be built on a greenfield coastal site at Kilmory to allow production to be ramped up. The new site will focus on producing a heavily-peated whisky to set it apart from an existing distillery in Lochranza within a structure drawn up by Denham Benn Architectural Design. This sees the facility follow the natural contours of the site with natural materials such as timber, natural stone and topped by a signature sedum planted ‘wave pattern’ roof intended to reflect proximity with the sea, mountains or a bird in flight. Construction is expected to get underway by October for completion by July 2018. 10 Aug – Glasgow’s Sighthill regeneration is set to move onto the latest phase of delivery with creation of a new park, roads and infrastructure by the beginning of 2017. This seeks to establish an ‘urban grid’ connected to the city centre by way of a pedestrian footbridge over the M8 with the aim of fostering a pedestrian friendly environment focussed on a central civic square modelled on historic Glasgow junctions such as Glasgow, Bridgeton and Partick Cross. Key design principles include a crescent of housing modelled on Park Circus. The masterplan design brief states: “The masterplan has evolved to enhance the natural topography of Sighthill. The original Sighthill Park is being re-profiled more in keeping with the natural drumlin that existed prior to the industrial works. The new housing situated on the hill will become a key marker on the skyline, similar to that of Park Circus in the west end of the city. 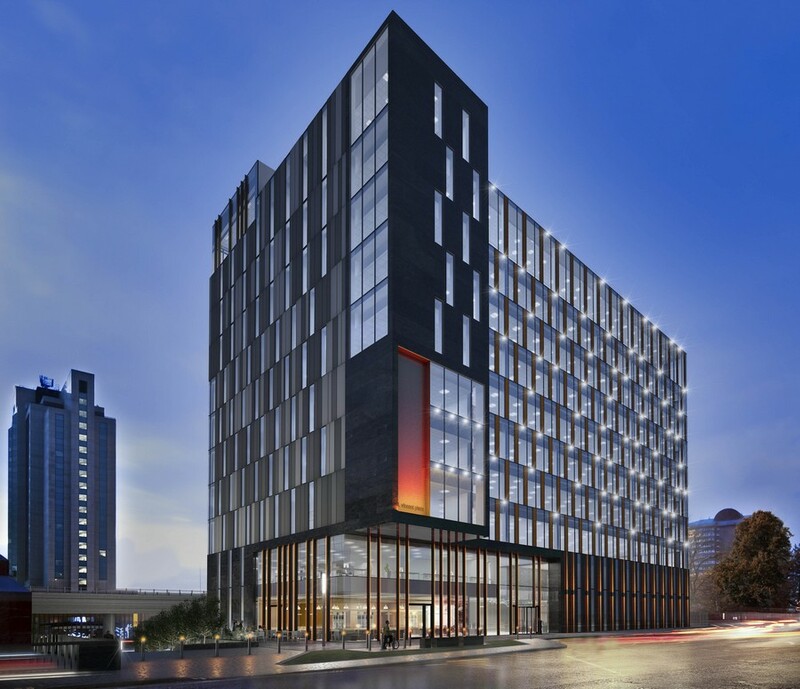 “The Civic Spine that links Sighthill to the city centre will feature the larger scale buildings along its length. Building heights of four to six storeys define the boulevard with opportunities for increased height at key corners. At the heart of the scheme will be a new community campus which will open its doors by autumn 2019 with other projects set for delivery including a new St Rollox Church by Angus Design Associates. Landscape architecture is being undertaken by LDA Design in conjunction with the council’s own planners. 9 Aug – Dumfries & Galloway Council are seeking additional funding for the conversion of Kirkcudbright Town Hall into an art gallery showcasing the town’s history and heritage as one of only two recognised artist colonies in the UK. Opening to the public on 8 August 2016, Eastwood Health and Care Centre is the development of a reference design by Hoskins Architects with contractor Morgan Sindall. Colin McLean was Head of the Heritage Lottery Fund in Scotland for 16 years, and before that Director of the Scottish Mining Museum and Director of Communications for the Scottish Museums Council. He will take up the position of Chair on 1st September when the current Chair, Alistair Scott, steps down. 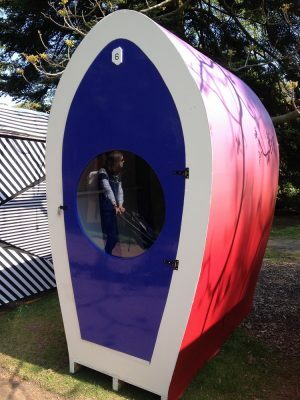 Daniel Cardno’s project proposing transition from skills associated with the oil and gas industry towards an economy concentrated on maritime industry and tourism won the RIAS Rowand Anderson Silver Medal, as Maelys Garreau picked up the A&DS Award for best 3rd year student with her proposed design for a “catch-up” institution for previously hospitalized children using outdoor play. 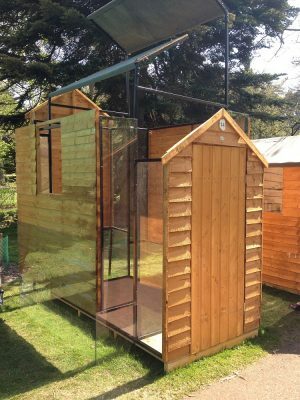 Their projects were just some of the high quality student projects awarded at the annual Architecture and Design Scotland (A&DS) and the Royal Incorporation of Architects in Scotland (RIAS) Scottish Student Awards for Architecture. Former director of The Lighthouse in Glasgow, Scotland’s Centre for Design and Architecture, Stuart MacDonald, has died aged 67, reports the Architect’s Journal. The Lighthouse in Glasgow is Scotland’s Centre for Design and Architecture. It was opened as part of Glasgow’s status as UK City of Architecture and Design in 1999. The Lighthouse is the renamed conversion of the former offices of the Glasgow Herald newspaper. Completed in 1895, it was designed by the architect Charles Rennie Mackintosh. 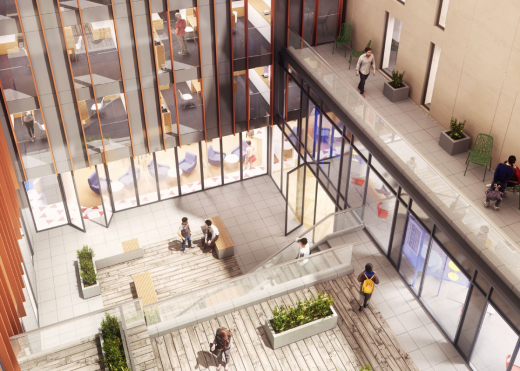 The centre’s vision is to develop the links between design, architecture, and the creative industries, seeing these as interconnected social, educational, economic and cultural issues of concern to everyone. Professor Stuart MacDonald OBE was born and brought up in Scotland where he trained as a fine artist. He is the director of Creative Frontline, his consultancy specializing in creativity, design and innovation. 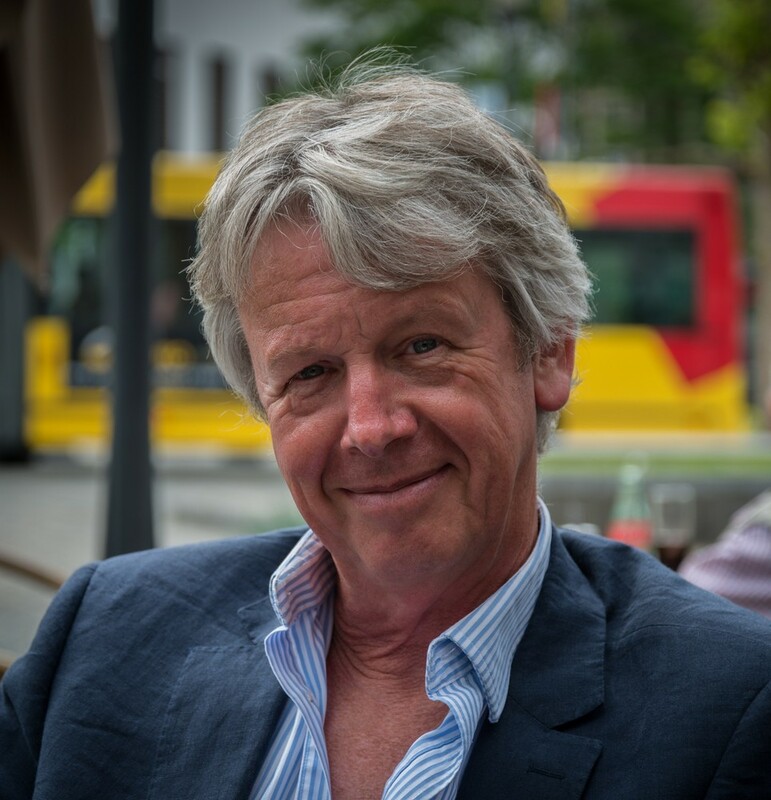 He had wide experience in creative education, cultural regeneration and promoting the creative industries. He was a Distinguished Visiting Fellow in the Department of Architecture, University of Strathclyde, Emeritus Professor of Creative Industries at the Robert Gordon University, Aberdeen and prior to that he was Head of Gray’s School of Art, Aberdeen. He was founding director of The Lighthouse, Scotland’s National Centre for Architecture, Design and the City and was Education Director for Glasgow UK City of Architecture and Design 1999 and Glasgow’s 1996 International Festival of Design. 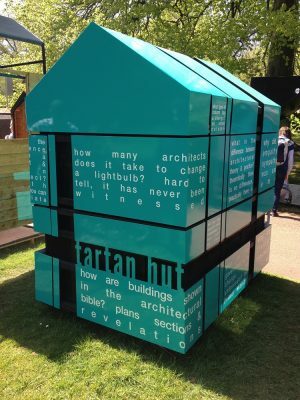 As Director of the Lighthouse he was a key figure in the promotion of Scotland’s architecture & creative industries policies, including setting up the Creative Entrepreneurs’ Club – one of the largest networks of its kind – as well as initiating the 2007 Six Cities Design Festival. He was closely involved with several major European creative, design and heritage networks including being President of the Reseau Art Nouveau Network. He had served as a trustee of the UK Design Council, was a founding director of the Creative and Cultural Industries Sector Skills Council, sat on the UK Creative Apprenticeships Taskforce and was on NESTA’s Creative Pioneer Programme Committee. He was also a member of the British Council’s Design Review Group and a member of the Ministerial Working Group on the Creative Industries in Scotland. He had written and lectured widely on art, design, architecture, education and the creative industries. In 2006 he was awarded an OBE for services to architecture and design and in 2003 was voted on to Design Week’s “Hot 50”; people who had made a significant contribution to design. He lived in Glasgow, Scotland. Discover how 18 leading architects, artists and designers from Scotland and abroad have transformed standard model garden sheds in this fun and inspiring exhibition. 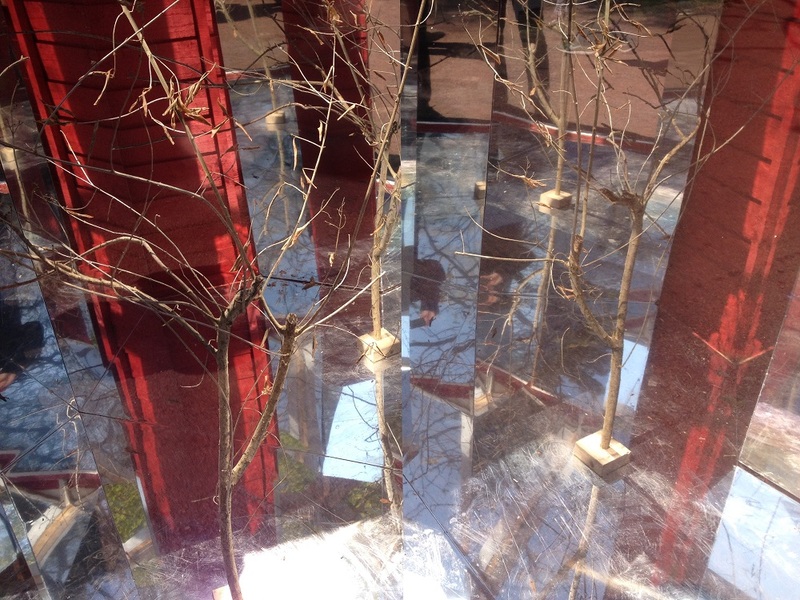 The Garden is largely accessible to wheelchair users and public buildings have level or ramped ground floor access. There are tarmac paths around the Garden most of which are flat and accessible. Any steep paths which are not wheelchair accessible are sign-posted and Garden staff will advise on any of the Glasshouses which are not accessible to motorised wheelchair or mobility scooter users. All registered assistance dogs are welcome in the Garden. 12 May – Aberdeen Football Club has revealed plans for a new £40m stadium and training facility at Kingsford near Westhill with earlier plans to move to Loirston now abandoned. The Palace of Holyroodhouse in Edinburgh is to undergo a £10m revamp. 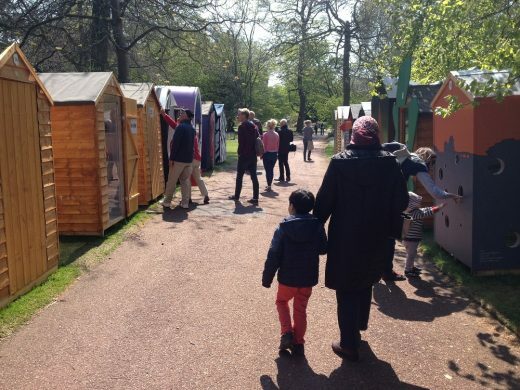 The outside space at Holyroodhouse in the Scottish capital will be redeveloped, a new family room will be created inside the palace, the storytelling of the state apartments will be improved and the Abbey Strand buildings will be restored to house a learning centre. 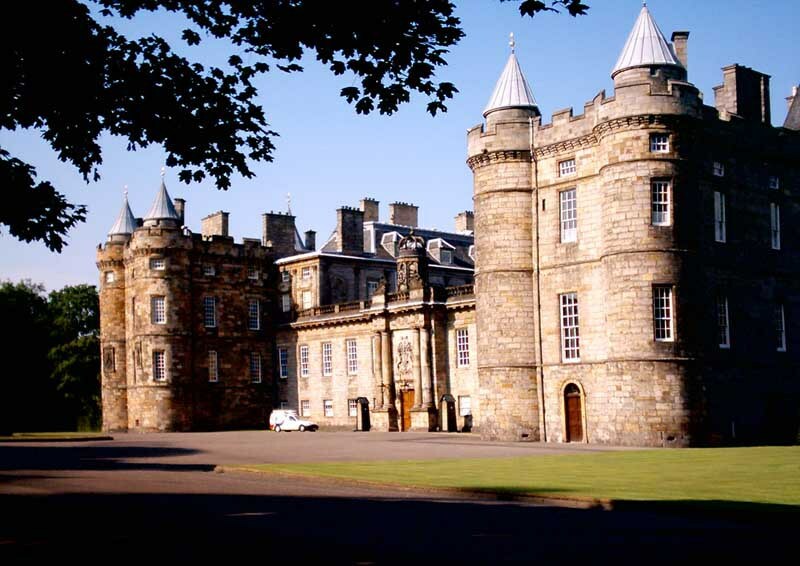 The renewal architects for the the Palace of Holyroodhouse will be Burd Haward Architects, based in London. 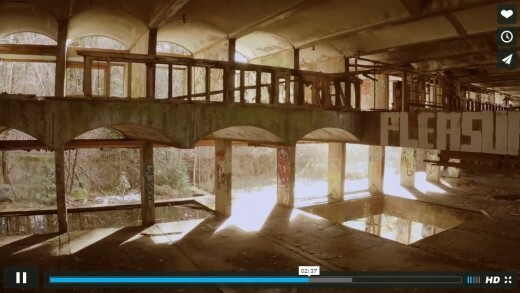 Leading public arts organisation NVA will mark the official launch of the Festival of Architecture in March 2016 by inviting audiences to experience Scotland’s most iconic modernist building, St Peter’s Seminary in Cardross, with a night-time public art event exactly 50 years since the iconic building was first opened. 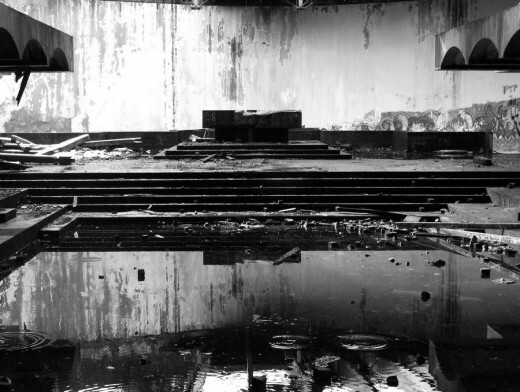 Audiences will walk through the atmospheric, semi-ancient, woodland to discover the ruined seminary buildings, subtly re-animated with monochromatic light installations and a specially commissioned choral work by composer Rory Boyle and performed by St. Salvator’s Chapel Choir from the University of St Andrews. Hinterland is a creative collaboration between Angus Farquhar (director), James Johnson (designer), Rory Boyle (composer), University of St Andrews Music Centre and St Salvator’s Chapel Choir, Phil Supple (lighting director), NOVAK Collective (projection design), and from 85A art collective – Dav Bernard, Zephyr Liddell, Robbie Thomson & Pete Sach (installations). 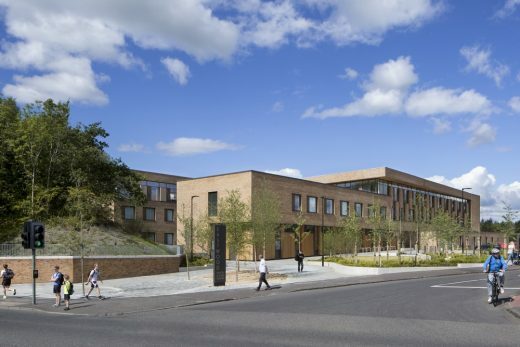 8 Apr 2014 – NHS Lothian has unveiled plans for a major new cancer treatment and research centre to be built at the Western General. The specialist centre – which would be comparable to the renowned £105 million Beatson facility in Glasgow – would replace the Western’s Edinburgh Cancer Centre. Experts are predicting the number of cases will increase by more than a fifth in a decade due largely to the region’s ageing population. Plans are being drawn up for the centre, which will treat patients from Dumfries and Galloway and Fife as well as the Lothians, before funding bids are submitted to the Scottish Government. If successful, construction could begin as early as 2017, when the department of clinical neurosciences moves from the Western to its new home next to Edinburgh Royal Infirmary. 8 Apr 2014 – Scottish homebuilder Springfield Properties has announced plans for 228 new homes to the west of Dundee. Following two consultation meetings with the public earlier this year, the housebuilder lodged plans with Dundee City Council for the homes at South Gray, within the Western Gateway. Members of the public have helped shape the layout and details of the proposal with feedback on elements of the development. The development, which is estimated to be worth in excess of £150 million could create over 100 new jobs, has been developed in consultation with the local council and forms the first part of a new village at South Gray. 8 Apr 2014 – Glasgow City Council planners will today be asked to agree in principal to a planned £250m transformation of the Sighthill area of the city. The 124 acre application site is immediately north of the M8. The Edinburgh to Glasgow railway line and Pinkston Canal Basin form the western boundary and Sighthill Cemetery borders the site to the north. Planning permission was recently granted for 141 new homes in the area, which will rehouse families currently living in nearby high rise blocks. 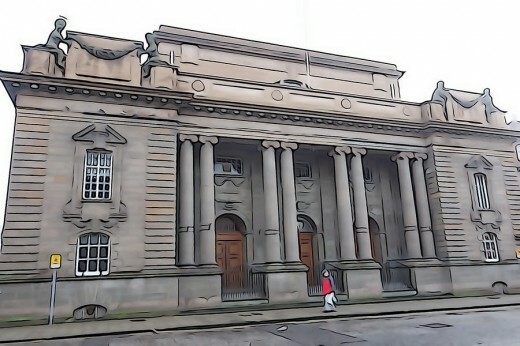 15 Mar 2014 – The Royal Incorporation of Architects in Scotland (RIAS) has written to Perth and Kinross Council to argue strongly against the proposed demolition of Perth City Hall. The RIAS believes strongly that the Hall is of great importance to the city of Perth and to Scotland as a whole and has significant architectural merit. It is ironic in the year that Edinburgh’s Usher Hall celebrates its centenary with a special concert, Perth proposes to destroy its own, one hundred year old, Hall. NORD Architecture has been granted planning permission for the new Maggie’s Centre in the grounds of Forth Valley Royal Hospital in Larbert. This will be the 9th Maggie’s Centre in Scotland with Maggie’s Aberdeen having opened in September last year and the new purpose built Centre in Lanarkshire due to open later this year. 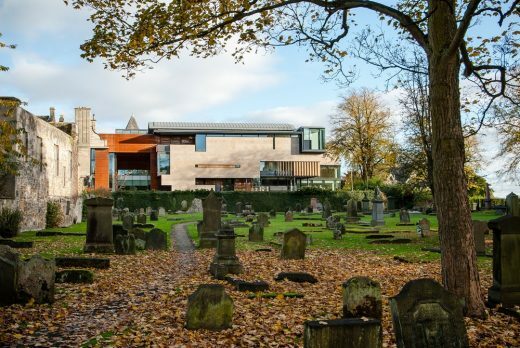 This new visitor centre opened in Stirling, central Scotland, on 1 March, ahead of the 700th anniversary of the battle on 23 and 24 June – uses cutting-edge technology to bring the battle to life for visitors, offering an experience which is unlike any other available in the UK. State-of-the-art installations are used to interpret and explain the events which led up to the battle, and its consequences. At a ceremony in the Scottish Parliament, WASPS South Block in Glasgow by NORD Architecture has been awarded the RIAS Andrew Doolan Best Building in Scotland Award for 2013. From a shortlist of twelve projects, all winners of RIAS Awards for 2013 (presented in June 2013), the judges selected WASPS South Block as a clear winner. The award was presented by the Cabinet Secretary for Culture and External Affairs, Ms Fiona Hyslop MSP with Mrs Margaret Doolan Hon FRIAS (the late Andrew Doolan’s mother). One of Scotland’s most iconic castles is to undergo major conservation, archaeological and interpretation work as part of a plan agreed between Historic Scotland and Macneil of Barra. Kisimul Castle of the Isle of Barra is regarded as the most significant medieval castle in the Western Isles. It sits spectacularly on a rock in the bay and is the seat of the Chief of the Clan Macneil and the symbolic home of the Clan around the world. It is of local, national and international significance and one of the most recognised sites in Scotland. Built by Graham Construction the facility includes a 25m main pool, 17m training pool, a health suite with steam room and sauna, a sports hall, aerobics studio, play centre, gym and a café. There are three buildings: Kirkcaldy Leisure Centre, Carnegie Leisure Centre and the Michael Woods Sport and Leisure centre in Glenrothes. The new Aberdeen building opens today at Forester Hospital in Aberdeen, designed by this world-famous Norwegian architecture studio. The contemporary building was designed by Snohetta, the Norwegian architects behind the National September 11 Memorial Museum Pavillion in New York, alongside Aberdeen-based firm Halliday Fraser Munro. W M Donald has been named as the civil infrastructure works provider for the first phase of Chapelton, Scotland’s largest planned new town. The Aberdeenshire-based civil engineering construction firm was selected after a competitive and lengthy tender process, beating off a number of other local and national firms. Six companies were invited to tender for the £8m contract, which will include roads, drainage, services and landscaping to support the first stage of 255 homes in the first Chapelton neighbourhood, Cairnhill. 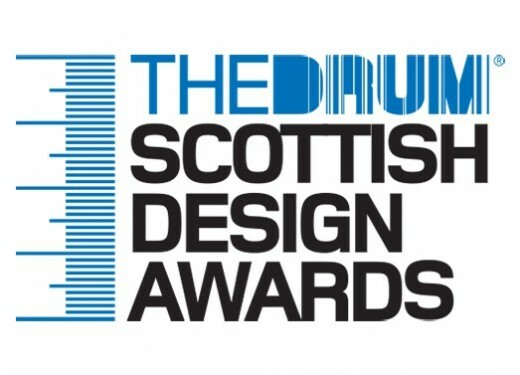 Thursday 12th September – Included in First Minister Alex Salmond’s announcement of Scotland’s focus years up to 2018, is the Government’s official designation of 2016 as the Year of Innovation, Architecture and Design. While 2016 marks the centenary of the RIAS, the Year of Innovation, Architecture and Design will be much more than just a 100th birthday party. The RIAS centenary is really no more than a stepping off point. The Scottish Government’s designation of the year is a tremendous vote of confidence for an event designed to enhance participation in and understanding of our built environment. 2016 will raise awareness of the importance of a well-built environment and help inform communities throughout Scotland of the economic and social benefits of good architecture. The year will provide an opportunity to emphasise and celebrate the quality of our architectural heritage and contemporary design. It will also support Scotland’s ambitions as a player on the world stage. The Year of Innovation, Architecture and Design will be celebrated throughout Scotland in events, creative commissions, school/community educational programmes, new online resources, touring exhibitions, pop-up architecture and competitions. 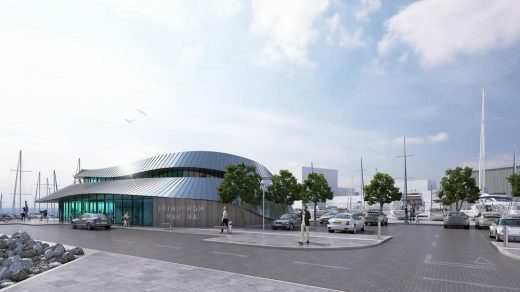 A new marina complex by Crieff-based owners Eric and Naomi Strickland, partners in architects McKenzie Strickland Associates. 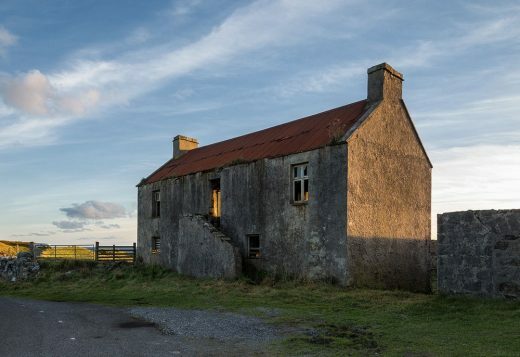 A derelict farmhouse within the spectacular setting of the Cairngorms National Park has won a prized planning permission for its restoration and extension. Coldrach is located north of the River Dee at Crathie. The building will be sensitively restored by Moxon Architects with original windows and fireplaces reinstated. 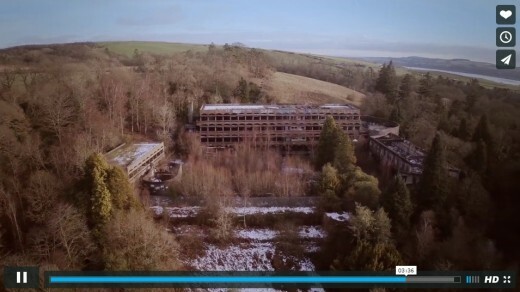 An extension to the rear of this building will follow the topography of the site, impacting only upon the northern aspect which will be levelled to allow construction of a timber and red-oxide finished metal structure. The Scottish Scenic Routes project is a new £500k initiative backed by the Scottish Government, Transport Scotland, Visit Scotland, Forestry Commission Scotland, Scottish Natural Heritage, Loch Lomond & the Trossachs National Park Authority, Cairngorms National Park Authority, Scottish Canals and Edinburgh Napier University. Taking its lead from the National Tourist Routes programme in Norway, the project seeks to involve young architects in the development of a series of interventions along Scotland’s most scenic roads. 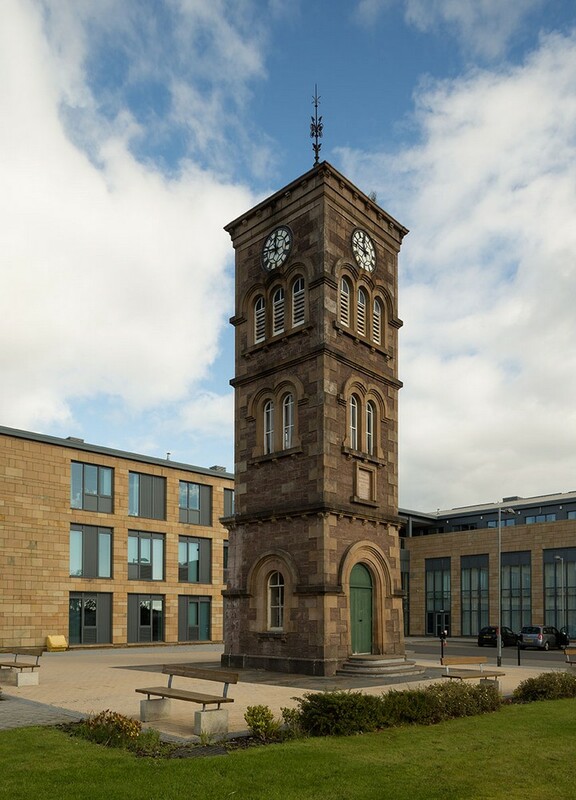 In the summer of 1896, three new railway stations at Glasgow Green, Bridgeton Cross and Dalmarnock were constructed by the Glasgow Central Railway Company (later to become the Caledonian Railway Company). Dalmarnock station (originally formed as Bridgeton Station) became part of a route connecting Maryhill, in the North West, to Newton in the South East of central Scotland. Jacobite Cruises’ Loch Ness visitor centre project designed by cameronwebsterarchitects (Glasgow) has been suspended. Jacobite Cruises was given full planning permission in 2011 for the £2.5m visitor centre building at Brackla. 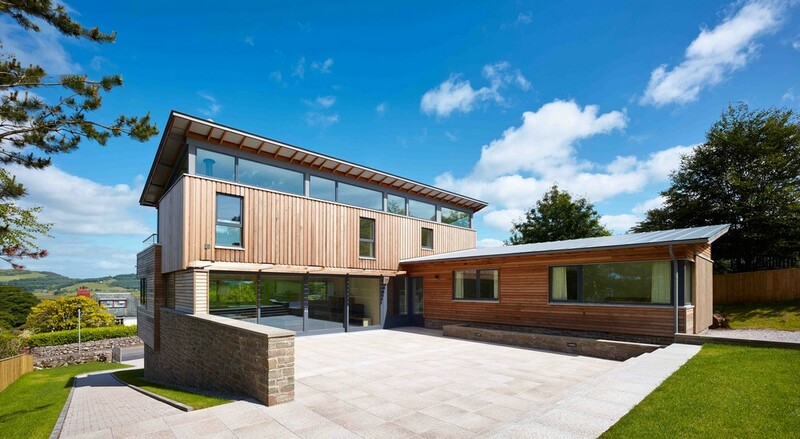 Elegant timber-clad building in the Scottihs countryside, easy to read the form. The restaurant occupies the first and second floors of the Union Street frontage of the old Esslemont and Macintosh department store. This was a retail landmark in the city and is a listed building. The design respects the original building, and restores the windows, cast iron structure and wooden floors. The exterior will be repaired and cleaned and the original mosaic signage retained. With the building process completed, Three Glens, the ultra modern eco farmhouse is finally a reality. Designed by Mark Waghorn Architects, Three Glens is a 450m2 five-bedroom farmhouse situated on a working farm near the village of Moniaive, South West Scotland. Its owners Mary and Neil Gourlay, are the third generation of the Gourlay family farming in the Cairn Valley. Leading architectural practice Keppie Design and Morrison Construction have completed and handed over Stromness Primary School in Orkney as part of the Orkney Islands Schools Investment Programme. Designed by Keppie and built by Morrison Construction, Stromness Primary School will provide modern and sustainable learning facilities for 200 pupils and also includes a 30-pupil nursery and community resource. Abstract (Glasgow) Ltd – a wholly-owned subsidiary of Mark Glatman’s Abstract Securities Ltd – has announced that it has completed its purchase of 303 St Vincent Street and on site construction works are due to commence in a matter of days for its speculative high quality office scheme, ‘St Vincent Plaza’ in Glasgow City Centre, by Keppie Design, located at the gateway to Glasgow’s International Financial Services District (IFSD). Excitement is mounting in the Highland Perthshire town of Aberfeldy as the launch of the restored Birks Cinema approaches on 19th April with a Willy Wonka type golden ticket event. Winner: An Cridhe – the Isle of Coll’s new community centre, designed by Anderson Bell Christie. This building in the Western Isles has won the top prize in the Scottish Civic Trust My Place Awards. The Awards were presented by the Planning Minister for Scotland. 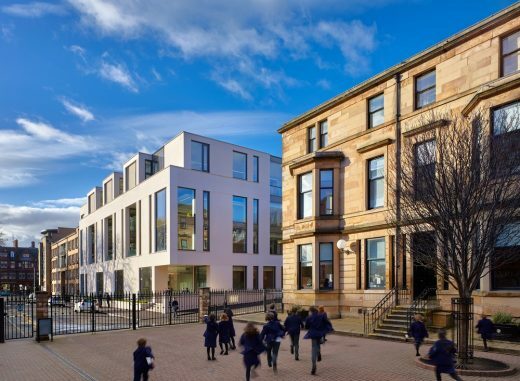 The first year as SHS BURRIDGE Architects, Edinburgh, has been very busy. 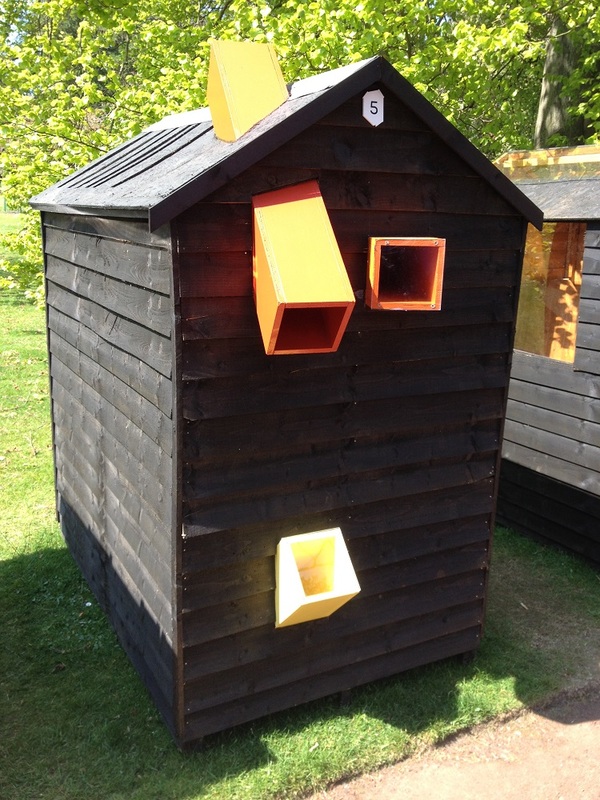 Clearly the skills and quality of service which the small architecture practice can offer is in demand. Led by landscape architect erz, working with architect Avanti, the proposal won the Neighbourhood Planning category in the 2012 Landscape Institute Awards. It is the latest attempt to find a use for the former seminary. 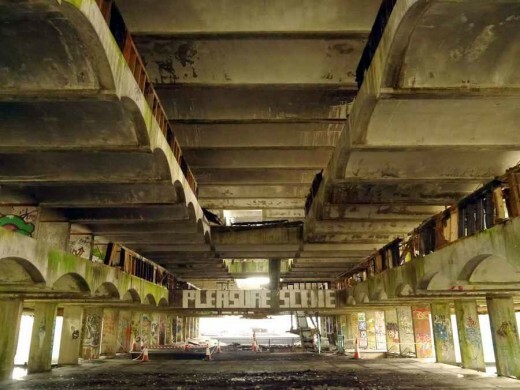 Designed by Gillespie Kidd & Coia in 1966 and Grade A-listed, the building is internationally renowned but has failed to find a viable use and has fallen into disrepair. Architectural competition to design a new housing development in this historic Scottish town. By inviting several firms to develop proposals, the Client’s ambition was to select a design that can provide high quality contemporary houses and apartments in the rich and complex conservation area. Tog 2013 – second Scottish live-build summer school, on the Isle of Tiree. “Following the success of our award-winning lighthouse project last year we’re gearing up to do a bigger and better project – a boathouse on the Isle of Tiree. We’re looking for participants who don’t mind getting their hands dirty as part of a multi-disciplinary team working on an exciting project in a remote location. This is a particularly good opportunity for architects, engineers and students to learn practical construction skills and gain unique on-site experience”. Scotland’s oldest work theatre, a suspension bridge and two mills are among the recipients in the latest round of Historic Scotland’s Building Repair Grants worth almost £600,000. In total six historic sites across Scotland will receive funding totalling £587,049 through this grants scheme. 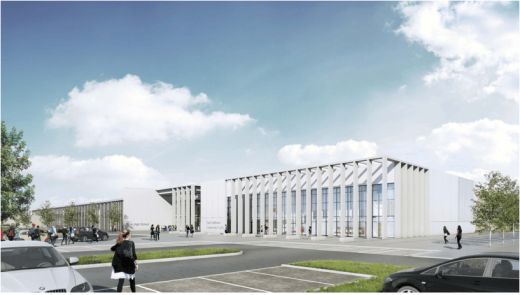 Contractors start work on the fit-out for The Scottish Environment Protection Agency office and laboratory facility. The Sheiling is a Victorian villa sitting between two waterways; Loch Fyne on one side and the Crinan Canal on the other, with views of the loch and Arran in the distance beyond. The new and old buildings are recognisably related.